George Shedrick (aka Sheldrick, Shadrick) passed through this life so quickly that he barely left a footprint. The brief time he lived was just one reason information about him was hard to find. He also was from Canada which made tracking his paper trail more challenging. A third factor that contributed to the scarcity of background information on George and his family resulted from the unfortunate early demise of both of his parents who each died in the prime of their lives. Early death seemed to stalk the members of the Shedrick clan. George was born, according to what he told the army recruiter in 1861, in Essex, New York. That was confirmed by the 1850 Federal Census. However, other creditable resources said he was born in Canada, specifically in Noyen, Quebec. Most sources agreed that his date of birth was December 21, 1844. George's father was Henry Shedrick (1824-1860). He was born in Clarenceville, Quebec circa May, 1823. He was baptized in Iberville, Quebec in 1824. All of Henry's brothers and one sister were born in Canada; either in Clarenceville, Noyan or Iberville. George's mother, Hannah Salls (1823-1853), was from Clarenceville. Clarenceville, Quebec is located on the northern end of Lake Memphremagog, just over the Vermont-Canadian border.By the time she and Henry married in 1841, they were living in Alburg, Vermont. This accounted for George being born in Essex, New York in 1844. George was the oldest boy in the family, being the first born son of Henry and Hannah Shedrick. Henry's father (also named Henry) had died in 1840 in Clarenceville. His mother, Marie Ann L'arrivee, continued to live there until her death in 1845. George's only sister, Mary Jenne, was born in Canada in 1846. Charles Belden, George's younger brother was born in 1849, also in Canada. Sometime after the birth of Charles, but before the end of 1850, the last son, Falcon Shedrick, was born in Bristol, Vermont. According to the 1850 Federal Census, Bristol was the home of the Henry Shedrick family. The household consisted of Henry, his wife, Hannah, their three children at the time, (Falcon apparently was still incubating when the census was taken) George, Mary Jenne and Charles Belden plus Henry's nineteen year old brother, William. George's father, and his uncle, were both laborers. George was only seven years old. He was also the only natural born citizen of the United States in the family. All his other siblings and his uncle William were born in Canada. When Falcon was born later in 1850 in Bristol, he joined George as a natural citizen of this country. The first member of this Shedrick clan to die an early death was George's mother, Hannah Salls. She died March 15, 1853 at thirty years of age. By 1857-58, Henry had remarried. His second wife was named Mary (1838-?). A last name for her was never discovered. She and Henry had one child together named Catherine Sophronia (1859-1863). Not long after Catherine's birth, Henry died at the early age of thirty-five in 1860. Now George and his younger siblings had lost both of their biological parents. Three years after Henry's death, Catherine died at the age of four years. Rather than live with the step-mother, Mary, George apparently decided to strike out on his own at the age of fifteen and went to live with another family in Lincoln, Vermont. His foster family was named Thayer and the head of household was Nathan, a sixty-three year old farmer of modest means making a living in the mountain community of Lincoln a few miles east of Bristol village. His family was made up of himself as designated head, his brother, Jerry (64 years of age), and Jerry's sixty-two year old wife, Eleanor. The two farmers were probably more than happy to take in a fifteen year old orphan boy who was lean and strong and healthy, not to mention rather desperate to find a place to hang his hat. A roof over his head and food in his belly was ample compensation for a fifteen year old who did not mind a little exercise to spur on a good appetite. Besides, he got to live in the same house as two teenage females to boot. Mr. Thayer employed two female servants in the home: seventeen year old Nancy Canfield and sixteen year old Sarah Noys. I don't imagine George objected too strenuously when he found out he would be sharing living quarters with two young females. It must have eased his suffering from his recent losses considerable. However, his idyllic living arrangements did not last long, like most everything else in George's life. Soon, an enormously compelling set of circumstances presented itself to the young American citizen with Canadian roots. An April morning in South Carolina witnessed the commencement of a national calamity in the making that would soon draw thousands of young patriots to it like flies to a slaughter house. April 12, 1861 around 4:30 a.m. an old white-haired ruffian named Edmund Ruffin pulled the lanyard on a loaded canon aimed at the walls of a United States Federal fort in the middle of Charleston Harbor. This was a larger and louder shot heard around the world; it was the first shot of the American Civil War. Although the sounds of the following cannonade was far off in a distant place in the South, the reverberations of each muzzle blast was felt in every town and village throughout New England within two days. Young, naive boys barely eighteen like George Shedrick almost knocked each other down in their frenzy to find an army recruiter who would accept them as volunteers in Mr. Lincoln's army. Quotas were soon filled and many had to be turned away disappointed that their services were not needed at this time. But George was lucky. His offer was not turned down; he was accepted as one of the chosen. On October 15, 1861 in Montpelier, Vermont, W. Hall signed an eager volunteer into Company G of the Sixth Regiment Vermont Infantry as a private for three years. The Sixth Vermont Regiment was raised from volunteers in all parts of the State within two weeks from the time Secretary of War Stanton contacted Vermont's Governor Erastus Fairbanks following the debacle of First Bull Run in July of 1861. Within thirty-three days of its formation and acceptance into the service of the United States Army, the Sixth was enroute to its first duty station in Washington, D.C. It was immediately sent to Camp Griffin near Lewinsville, Virginia where it joined the Second, Third, Fourth and Fifth regiments to form the First Vermont Brigade - the "Old Vermont Brigade". During the winter cantonment at Camp Griffin, the Sixth suffered terribly from diseases. There were 278 cases of typhoid fever, 330 of measles, 90 of diphtheria and 180 of mumps. Being used to clean air, isolation, eating wholesome and plentiful food and getting robust exercise doing their chores, the Vermonters were decimated by the cramped contact with urban carriers of diseases they had no immunity to, subjected to monotonous meals ill prepared and infrequently supplied, exposed to the elements and exhaustive duties and surrounded by sickness caused by the lack of reasonable sanitation in the camps perpetuated by the careless and torpid behavior of indifferent camp mates. The mortality among the vulnerable Vermonters was great, amounting to more than 50 deaths. Without any natural immunities to their infectious companions and considering the exposure and poor diet they were subjected to, the results in the ranks of the Vermonters was very similar to that which occurred among the native Americans of this country after their initial contact with white Europeans in the early settlement period of our history. The Vermonters were glad to break their first winter camp on March 10, 1862 to take part in the Peninsula Campaign. It suffered severe losses at Savage Station along with other Vermont Brigade units. The Regiment did its share of fighting during the Maryland Campaign and served an active role at Fredericksburg. It went into winter camp in 1862 at White Oak Church. When it broke camp in the spring of 1863, it joined in the Chancellorville movement. There, and at Gettysburg and Funkstown, the Sixth distinguished itself in combat. After being a part of the Mine Run Campaign of 1863, the Regiment went into winter quarters at Brandy Station, Virginia. In the Wilderness Campaign of 1864, the Sixth was subjected to arduous and tragic work, suffering terrible losses. It was part of the famous assault at Spotsylvania and was repeatedly in action at Cold Harbor. Soon after arriving at Petersburg, the Sixth Corps, of which the Vermont Brigade was a part, was ordered to the defenses of Washington. They rejoined the Army of the Potomac in December of 1864 for the remainder of the Petersburg siege. In October, 1864, the original members not re-enlisted were mustered-out. After Lee's surrender at Appomattox, the rest of the Regiment was mustered-out on June 19, 1865. The total number of members in the Sixth amounted to 1,681. Of that number, one hundred eighty-nine were killed in action or died of wounds; one hundred eighty-nine died of disease; twenty died while in Confederate prisons; and two died accidentally. Since President Lincoln's army was anxious to replace the losses incurred at First Bull Run on July 21, 1861 and to augment his army for an offensive against the Confederates as soon as possible, there was great urgency to get additional Union troops into the field. War fever still ran high and there was no shortage of volunteers to choose from. Among the second round of volunteers was George, a five feet four and one half inch newly turned eighteen year old orphaned farmer with a dark complexion, black eyes and hair who was more than ready for the grandest adventure of a life time. Mustered-in at Montpelier on the 15th of October, 1861, Private Shedrick soon found himself headed south for the front. He survived the horrendous initial trial by disease of the winter camp in Virginia with the Old Vermont Brigade. But he would not last through the Peninsula Campaign of 1862. Within three months of marching out of Camp Griffin, Private Shedrick would be reported missing after the Battle of Savage's Station June 29, 1862. Days' Battle. The Vermonters missed the bloody action at Seven Pines completely. However, they did have their fill of fighting soon thereafter. June 5, the Vermont Brigade went into camp at the Golding farm five miles from Richmond. During the next nineteen days, the Vermonters were fairly safe from the Rebels except for an occasional stray Confederate artillery shell or an ambitious enemy sharp shooter who managed to wound a few Vermonters while they were buying supplies at the sutler's tent. On June 26, Confederate General Magruder launched a counter attack at Mechanicsville. This was a fight between "friends". In the days before the action, the Vermonters and the Rebs had been swapping coffee for whiskey and exchanging pleasantries. The trading had been brisk and friendly. Each side quickly returned to their own lines when the shooting began and all pretenses of familiarity were forgotten. At dusk on the 26th, the Fourth and Sixth Vermont confronted some Georgians which resulted in fifteen Vermonters being shot, one mortally. At Gaine's Mills on the 27th, the Vermonters were held in readiness but never were called up. The Vermont Brigade reached Savage's Station about noon on June 29. The Fifth Vermont was in the worst of the action at Savage's Station. As the Fifth was ordered to advance against the Confederate battle line, it came upon another Union regiment hunkered down in the woods, refusing to obey the order of their officers to move forward. These men were cursed by the Fifth as cowards as they tramped over them and emerged from the woods to confront a hollow filled with Confederate riflemen supported by artillery. Adding to the Fifth's peril was a monster Confederate cannon mounted on a railroad car firing huge thirty-two pound shells. Union commanders ordered the Fifth to charge. They were slaughtered. Sgt. Lucius Bigelow of Burlington later reported: "We carried more than 400 muskets into battle. We lost in 20 minutes 206 men, killed and wounded." While the Fifth was being shredded, the Sixth Vermont advanced through the woods and also came under severe Confederate fire. In the gathering twilight, sixty men were struck down by an enemy they could barely see. The Third Vermont was also groping its way through the woods and the increasing darkness. Suddenly a stern voice challenged: "Who are you?" "The Third Vermont" someone answered and bullets cut into the Vermonter's ranks. At 9:30 p.m. a violent thunderstorm exploded over the battlefield. It put a hold on the murderous rifle and artillery fire. Men not hurt carried or supported wounded and dazed men to safety. Many wounded Vermonters had to be left on the field to the mercy of the Confederates. Among those left behind was a surgeon in the Vermont Brigade by the name of William J. Sawin from Chicopee, Massachusetts. He walked the battlefield the next day and recalled: "Thirty men of the Fifth Vermont were found laying side-by-side dressed in as perfect a line as for dress parade, who were all stricken down by one discharge of canister from the enemy's batteries." Company E of the Fifth, went into the fight with fifty-seven men. Only seven came out unharmed. When the final count was made, the Vermont Brigade had lost 358 men: 71 killed, 270 wounded, 17 missing. Thirty-six wounded would later die of their wounds. Box with the gin and tobacco. What was Private Shedrick's fate in all this carnage? His service record immediately after the June 29, 1862 battle listed him as "absent - missing June 29". A few months later, that was changed to "deserted at Savage Station June 29 1862" on the September/October, 1862 Company Muster Roll. A year after Savage's Station, on May 31, 1863, Private Shedrick was still being carried on the official military rolls as a "deserter" but with the caveat that "Probably be found dead. Has not been heard from since the battle of Savage Station was left on the field severely wounded". However, those who kept the official records for the service were apparently still not convinced that Private Shedrick of Company G, Sixth Regiment Vermont Infantry was not a deserter for in April of 1863 on the official list of deserters, he was still labeled as such from the date of June 29, 1862. But "probably" had been upgraded to "supposed". Considering the fact that the Seven Days' Battle created much havoc and confusion in the ranks of the Union army, and that thousands of wounded men had to be abandoned to the care of the Confederates, it was not surprising that one man could get "lost" in the shuffle. A summary card of Private Shedrick's military service did not help to clarify exactly what happened to George during and after June 29, 1862. For example, the entry for June, 1862 reported: "absent, missing since June 29 - Savage Station". Then July, 1862 stated: "absent with leave prisoner supposed". August 15, 1862 mentioned: " Harrison Landing Returned from missing - absent sick". In September, 1862 Private Shedrick was "absent sick left June 29". He was finally reported as "deserted June 29" in October, 1862. So, what was he? Was he dead, a prisoner or a patient? The military did not seem to know for sure and George hadn't been heard from since June 29, 1862. As late as the Muster-out Roll completed October 28, 1864 at Brattleboro, Vermont, George was still officially carried as a deserter form June 29, 1862. Twelve years after the end of the Civil War, George's status remained undetermined. 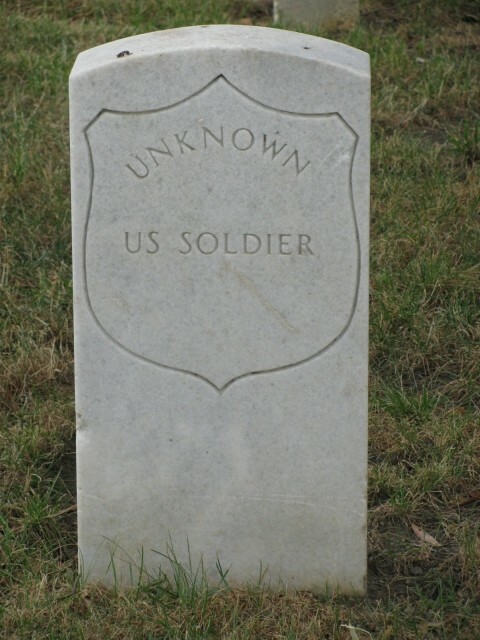 On December 20, 1877, the Adjutant General's Office of the War Department admitted that their investigation had failed to elicit any further information relative to this soldier. The only sure thing known about Private George Shedrick was that no one ever heard anything from him after the Battle of Savage's Station fought on June 29, 1862 outside of Richmond, Virginia. Unofficially, the civilian newspapers of July, 1862 reported in detail the casualties incurred by Union regiments that had fought in the Battle of Savage's Station. But even they gave conflicting reports as to what happened to Private Shedrick. Three local papers carried word of the wounded, missing and killed of that engagement. One listed Private George Shedrick of Company G, Sixth Vermont as wounded. Two listed him as "killed" And, there are two headstones for George Shedrick. One bearing his name is supposed to be a cenotaph located in Evergreen Cemetery in New Haven, Vermont. 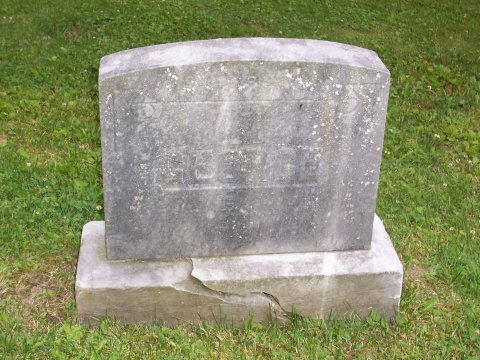 The other is a Government stone on which is chiseled "Unknown" located in the national cemetery at Seven Pines in Virginia.Which one, if any, has the body of George Shedrick lying beneath it? 1. www.ancestry.com, Baker Family Tree for Henry Shedrick; Vermont in the Civil War/Cemeteries/Vermont/New Haven/Evergreen/Shedrick, George. 2. Ibid., Family Tree for Hannah Salls; Ibid., Baker Family Tree for Henry Shedrick. 3. Ibid., 1850 U.S. Federal Census for George H. Shedrick. 5. Ibid., Vermont, Vital Records, 1720-1908 for Hannah Shedrick. 6. Ibid., Baker Family Tree for Henry Shedrick. 7. Ibid., Vermont, Vital Records, 1760-1954 for Henry Shedrick. 8. Ibid., 1860 U.S. Federal Census for George Shadrick. 9. The Civil War: An Illustrated History, by Geoffrey Ward, Ric and Ken Burns, Alfred A. Knopf, New York, 1990, p. 39. 10. www.fold3.com, Compiled Service Records of Union Soldiers Who Served in Organizations From the State of Vermont, p. 2, image 311391866. Hereinafter referred to as Compiled Service Record. 11. Vermont in the Civil War/Units/1st Brigade/Sixth Vermont Infantry/History. 12. Ibid., Compiled Service Record, p. 2, image 311391866. 13. Full Duty:Vermonters in the Civil War, by Howard Coffin, The Countryman Press, Woodstock, Vermont, 1993, pp 106-110. 14. A War of the People Vermont Civil War Letters, Jeffrey D. Marshall, Editor, University Press of New England, Hanover, 1999, p.94. 15. www.fold3.com, Compiled Service Record, p. 8, image 311391883. 16. Ibid., Compiled Service Record, p. 10, image 3113918889. 17. Ibid., Compiled Service Record, p. 11, image 311391892. 18. Ibid., Compiled Service Record, p. 12, image 311391893. 19. Ibid., Compiled Service Record, p. 13, image 311391896. 20. Ibid., Compiled Service Record, p. 14, image 311391899. 21. Ibid., Compiled Service Record, p. 15, image 311391901. 22. www.newspapers.com, Vermont Watchman and State Journal, Fri., Jul 18, 1862. 23. Ibid., Vermont Phoenix, Thu., July 17, 1862 and Green-Mountain Freeman, Tues., July 15, 1862. 24. Vermont in the Civil War/Cemeteries/Vermont/New Haven/Evergreen/Shedrick, George.